The Planning Advisory Board will be holding a public hearing on February 13, 2012 at 3pm in city hall to consider amendments to the Langley Municipal Code relevant to the off-street parking requirements in the Central Business Zone and the range of uses allow for publicly zoned properties that are otherwise in the downtown. The existing off-street parking requirements in the downtown are costly, unnecessary and serve as an impediment to the type of development that is in keeping with the historical development pattern in the downtown characterized by small scale commercial and mixed-use development with NO on-site parking. For new development property and business owners must either provide parking on-site, have an off-site parking agreement or pay the city $5,000 per required parking space. Communities and smart growth advocates around the country are recognizing the detrimental effects of high on-site parking requirements and are increasingly moving away from minimum parking requirements and instead looking to create incentives to support compact, walkable communities with a district wide approach to parking much like we have in Langley today. Langley, like many small scale urban downtowns, has the perception of a parking problem that isn’t supported by the facts. 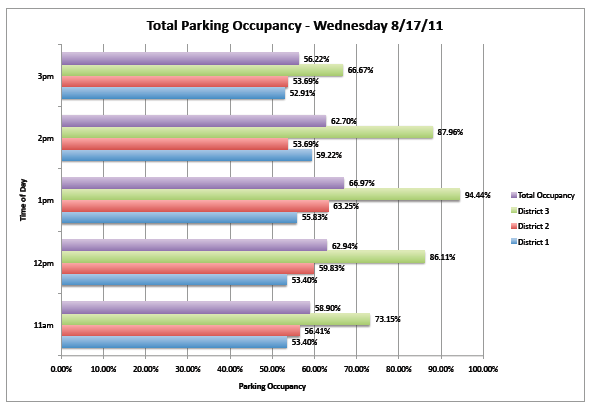 In a parking study conducted in the summer of 2011, including an inventory of approximately 550 parking spaces (including public and private lots) within the downtown area, it was shown that the peak occupancy for parking demand was 67% (even during the Second Street Market) leaving approximately 180 parking spaces available even during peak time. 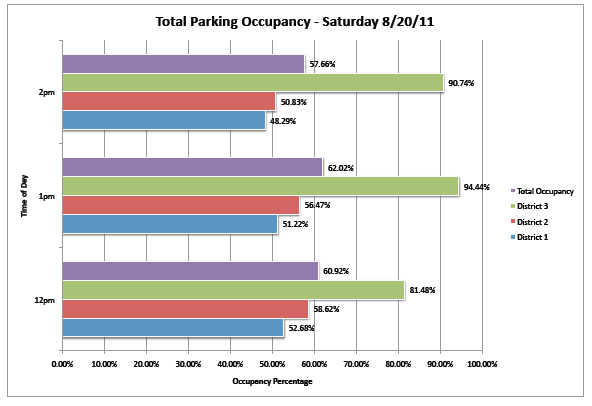 However, an active parking management plan is needed to more efficiently use the existing parking in the downtown. 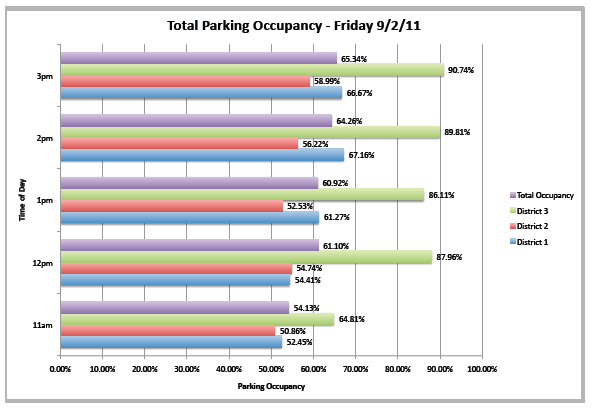 To find a parking space during peak occupancy may require walking a block or two to your destination, but that doesn’t signify a parking problem. I worked for six years as the Planning Director in a small scale downtown with many similar qualities as in Langley where we had no on-site parking requirement because of the availability of public parking and shared parking agreements between businesses. My experience taught me that this type of parking system works well and maximizes the existing parking resources while minimizing the development of unnecessary new parking facilities that have negative environmental impacts. Properties otherwise in the CB Zone (downtown) that have a public use such as the post office or city hall are zoned differently from the rest of the downtown area. This creates an issue with the introduction of new land uses when a public use is not longer viable as was the case when the firehouse on Second Street transitioned from a public to a commercial use. There is no need for these properties to have a distinct zoning designation, but rather public uses should be one of the uses allowed in the CB Zone and allowed throughout the district. The ultimate solution is to amend the rezone these properties form P-1 to CB, but that will require a comprehensive plan amendment that we are not prepared to proceed with until at the earliest late in 2012. So, the current proposal is an interim solution whereby an overlay zone for these properties will allow for commercial uses. We of course would like any comments or feedback you may have on this proposal so don’t hesitate to fill out the form below, which is sent directly to me, or attend the public hearing on Monday. February 10, 2012 in Planning Advisory Board.